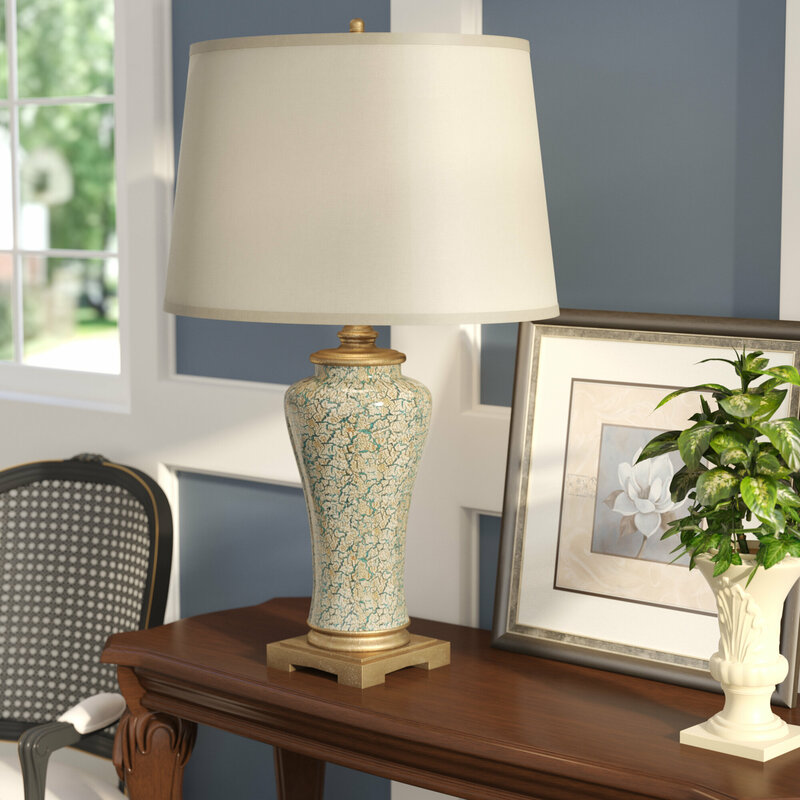 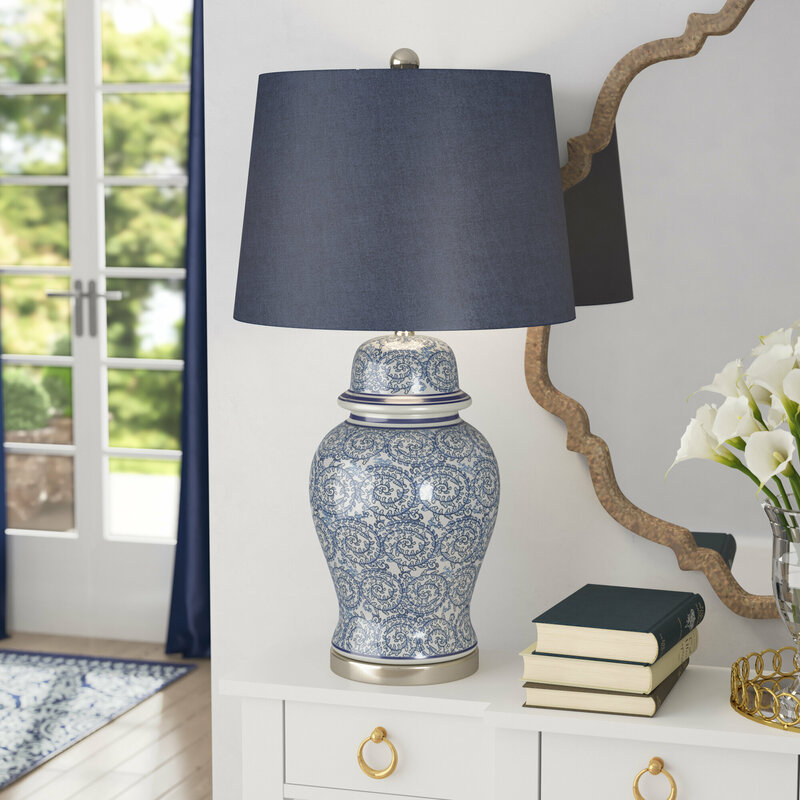 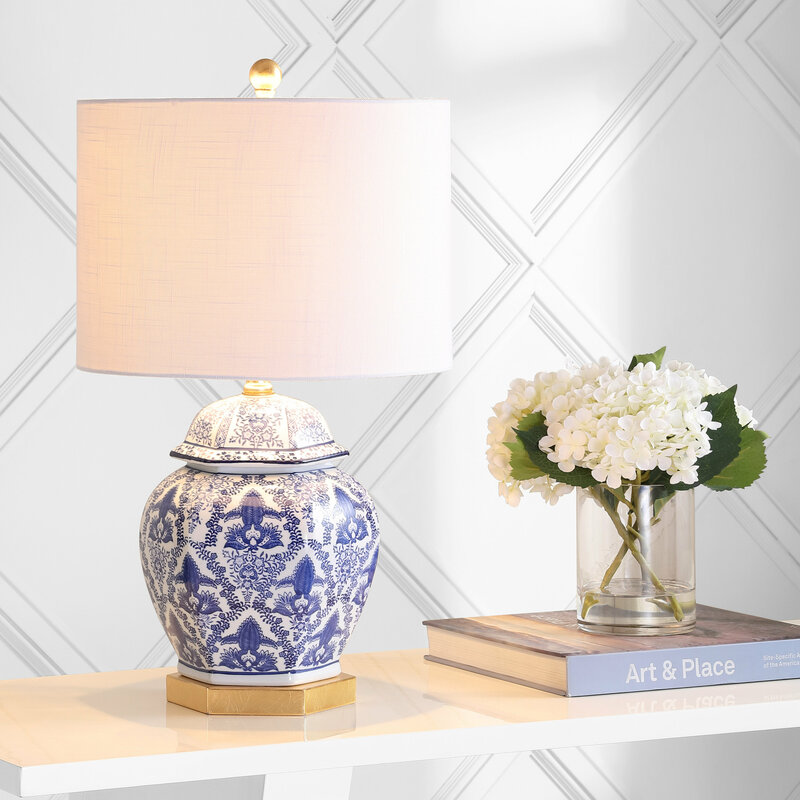 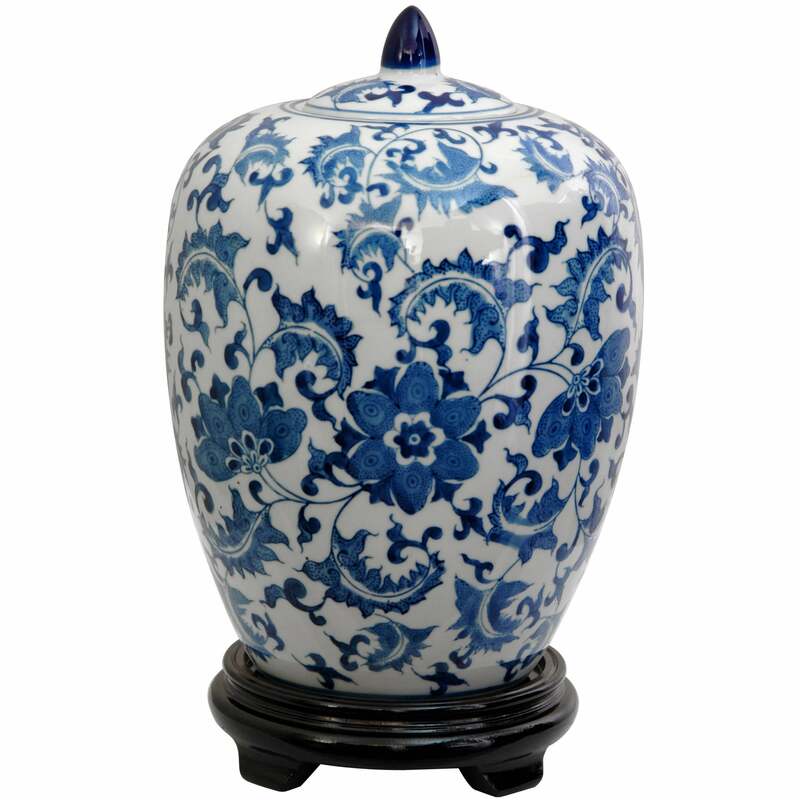 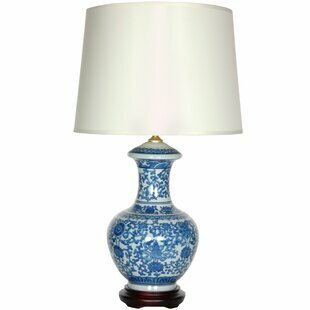 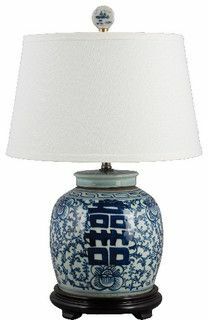 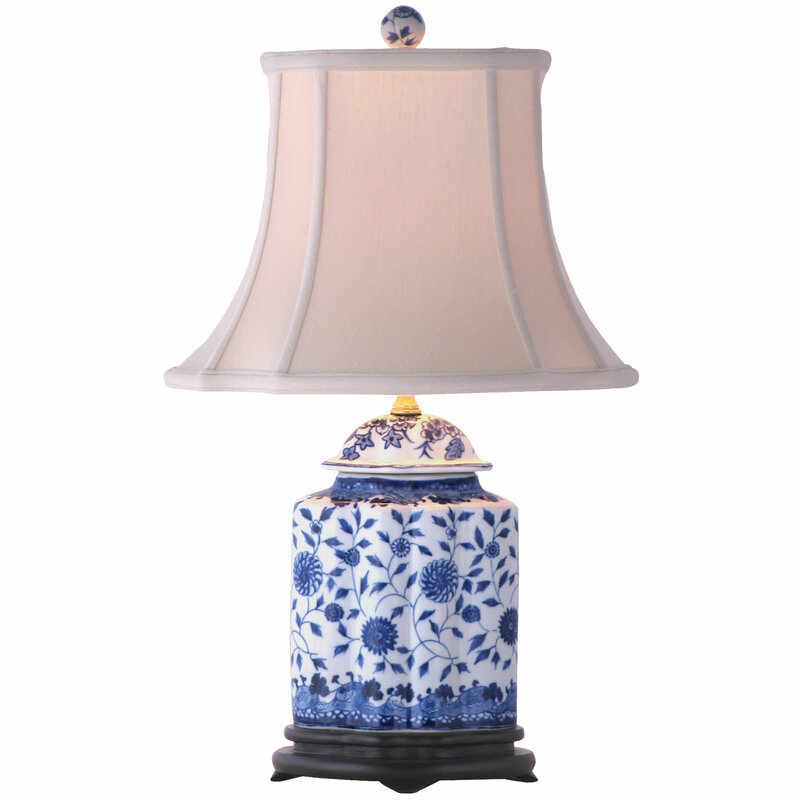 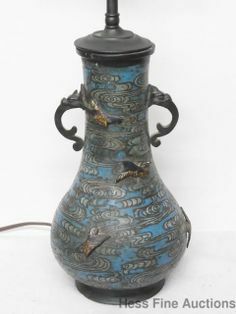 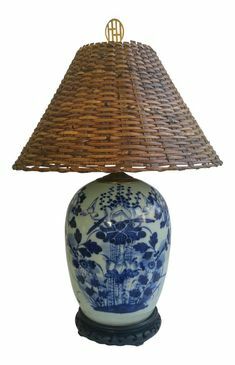 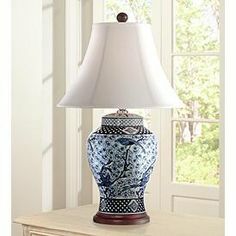 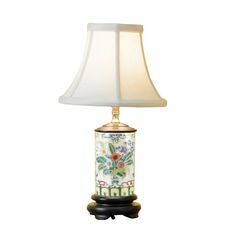 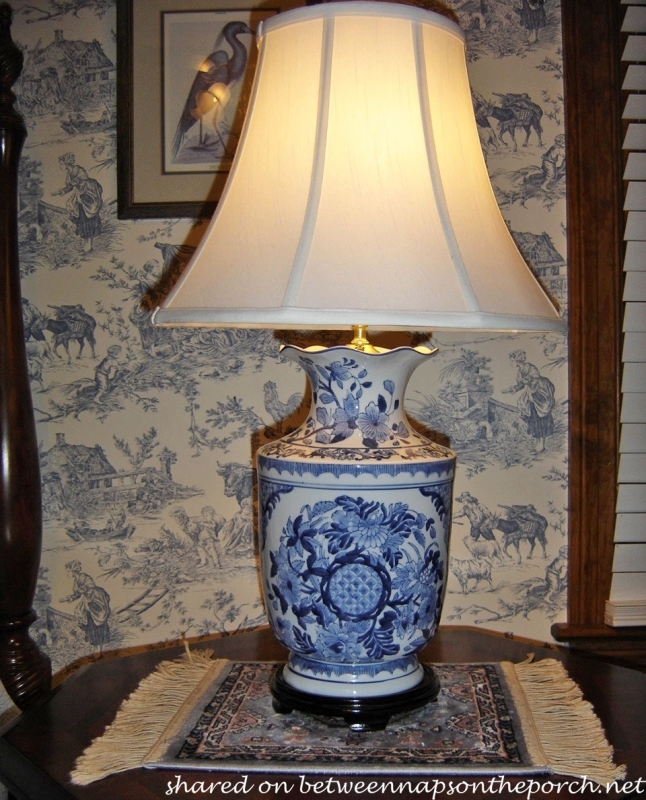 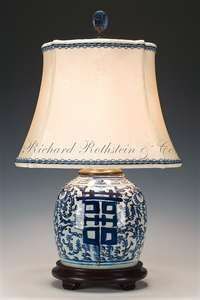 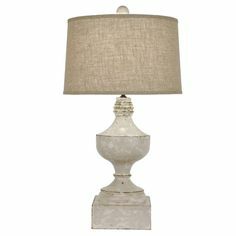 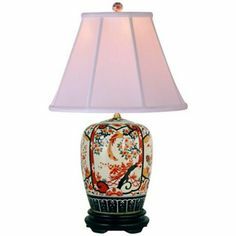 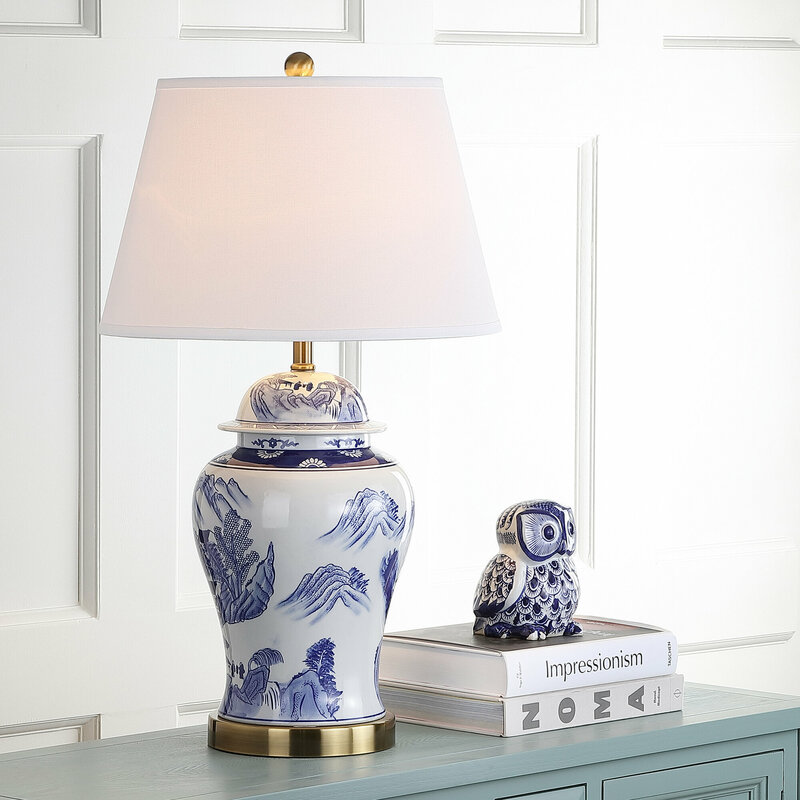 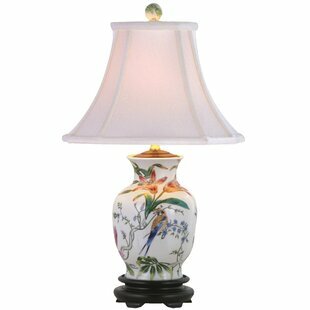 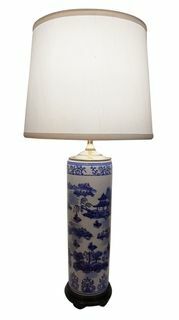 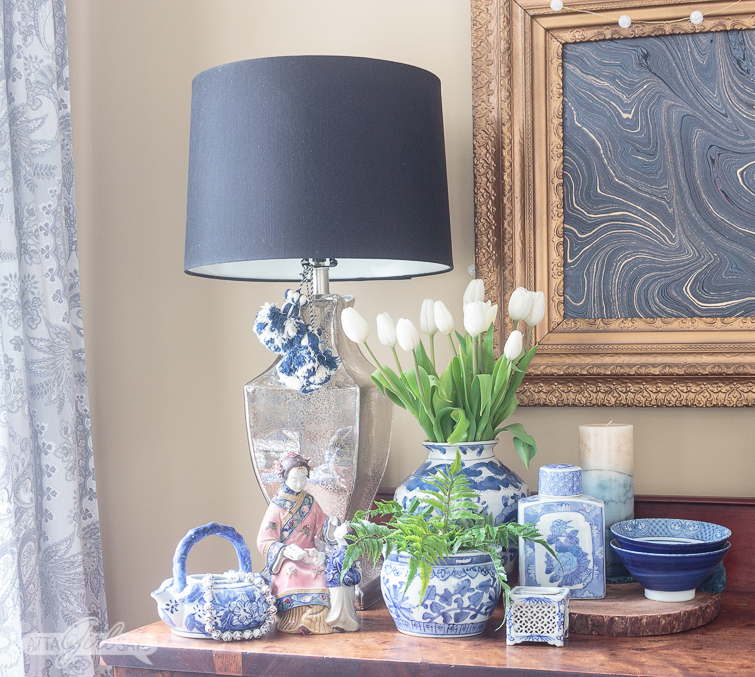 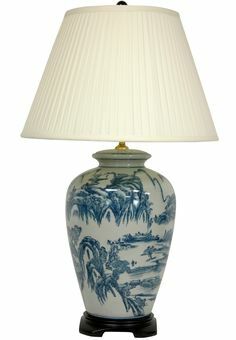 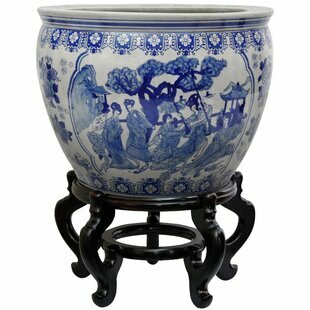 A traditional oriental lamp featuring an authentic Asian vase body decorated with a finely detailed Ming blue and white landscape pattern. 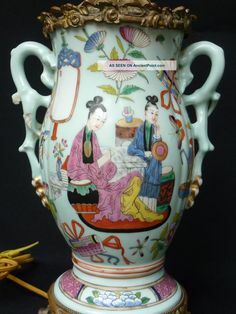 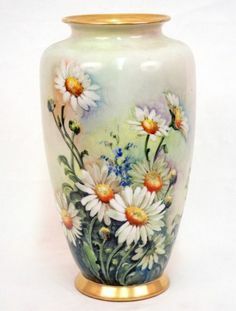 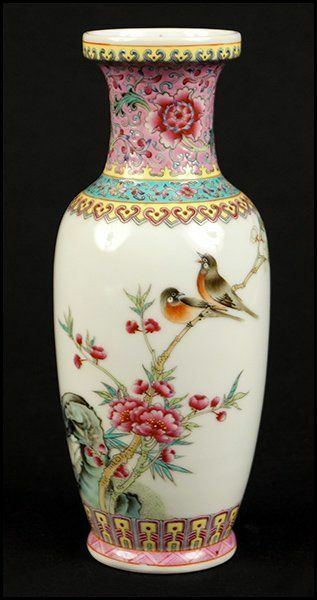 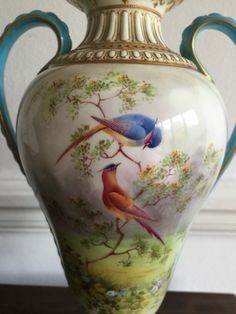 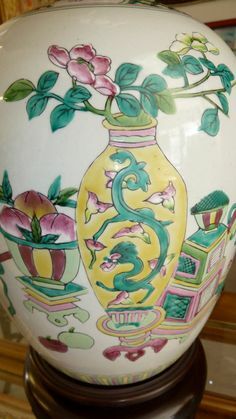 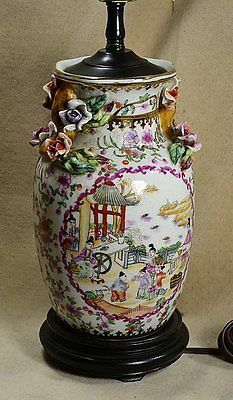 Handpainted porcelain jar with matching handpainted porcelain ball finial. 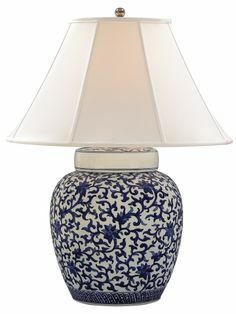 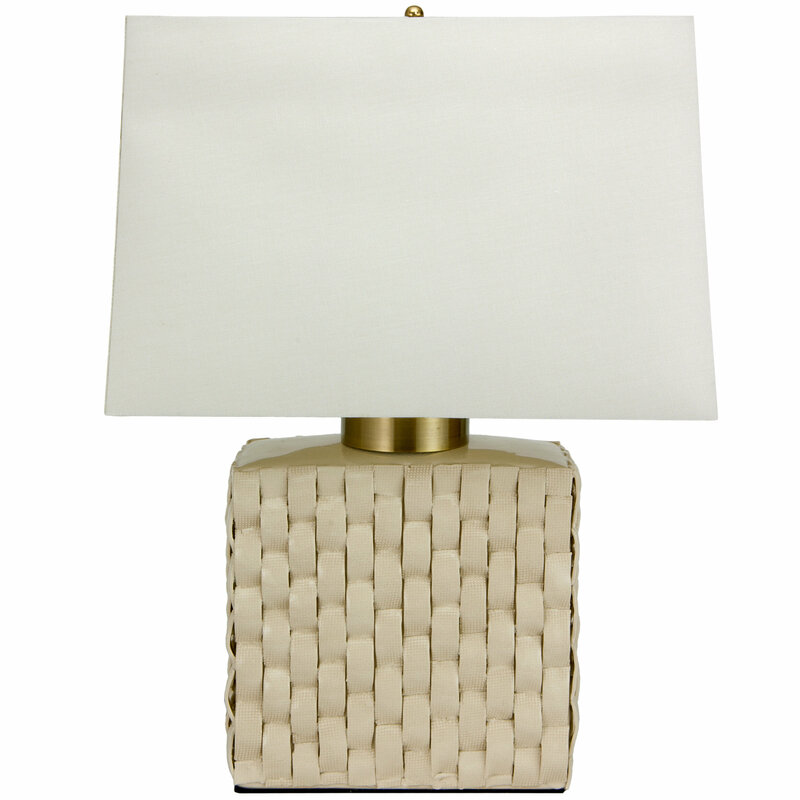 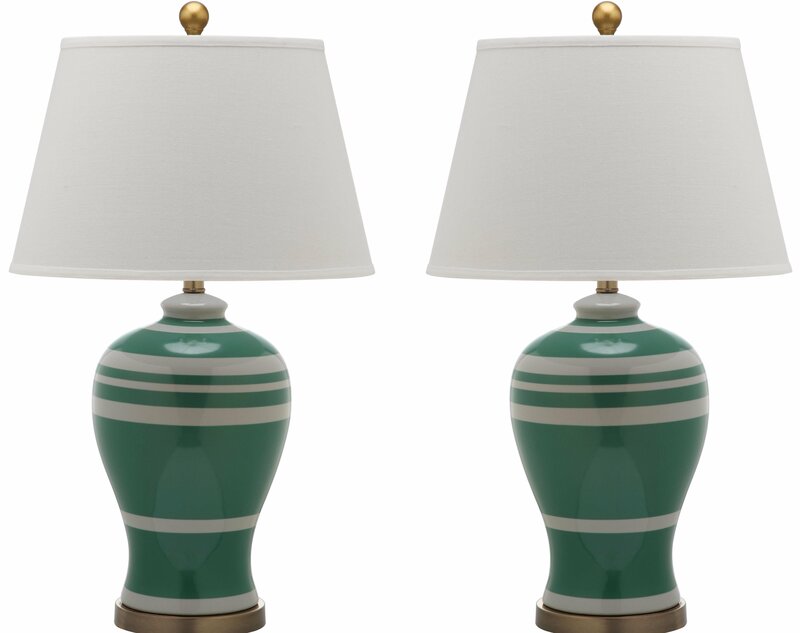 Accommodates three-way bulb up to 150 watts. 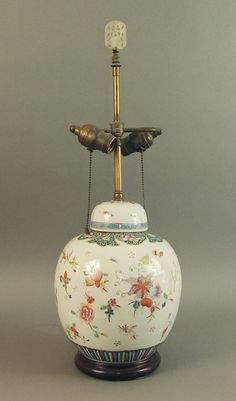 On-off switch on socket. 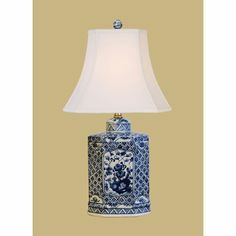 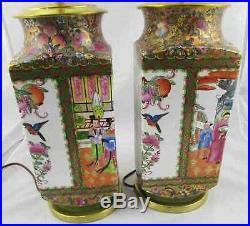 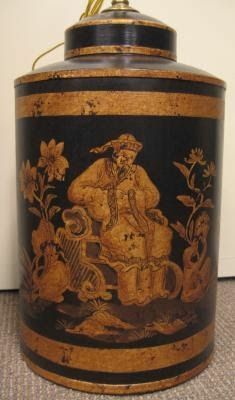 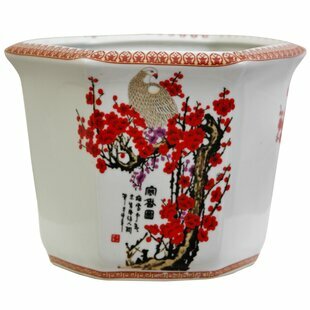 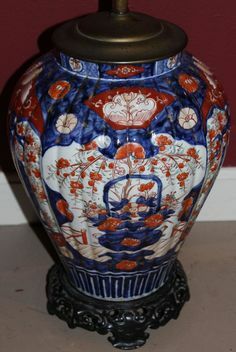 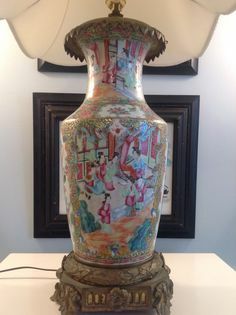 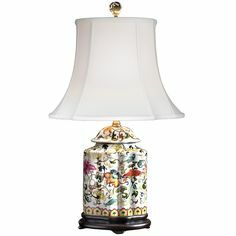 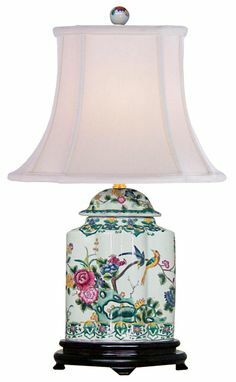 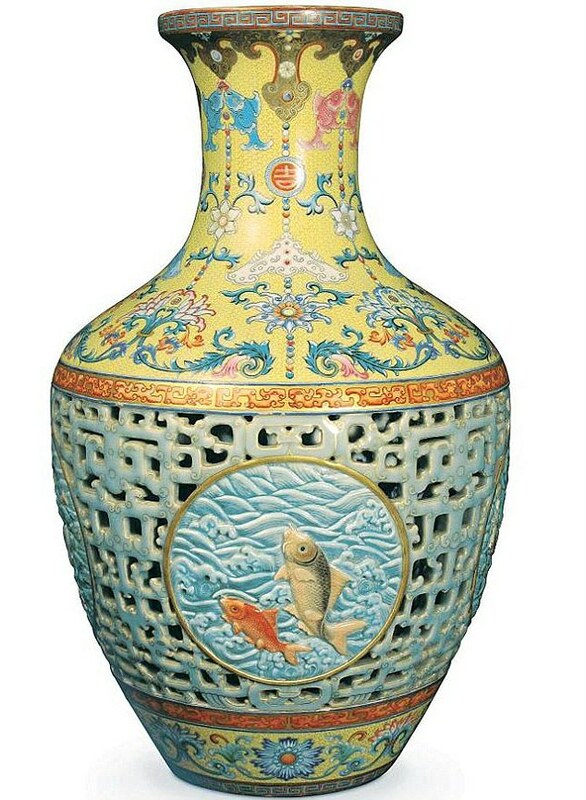 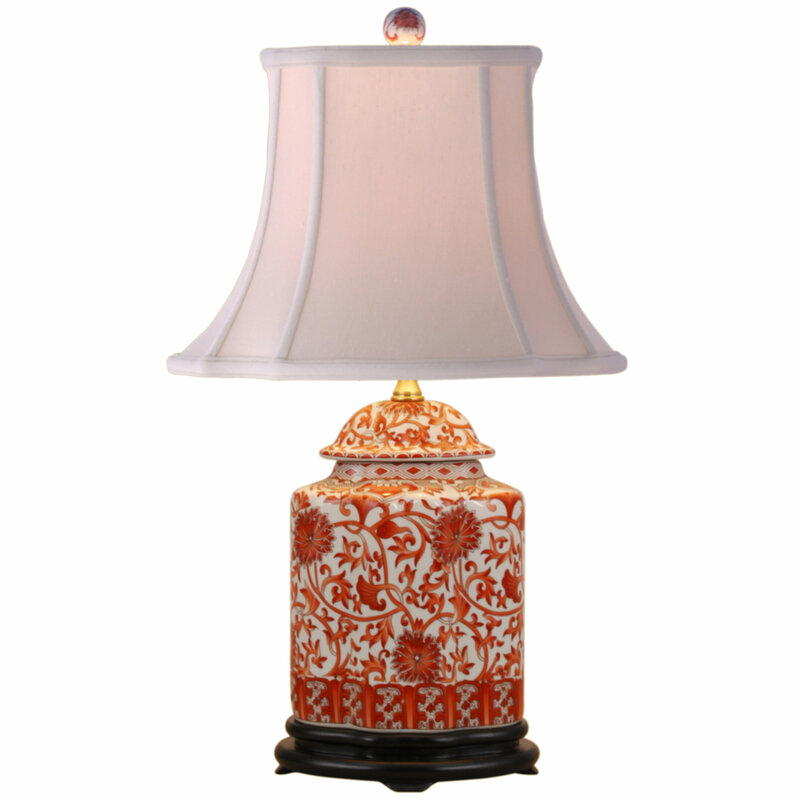 Ginger jar lamp, in traditional style. 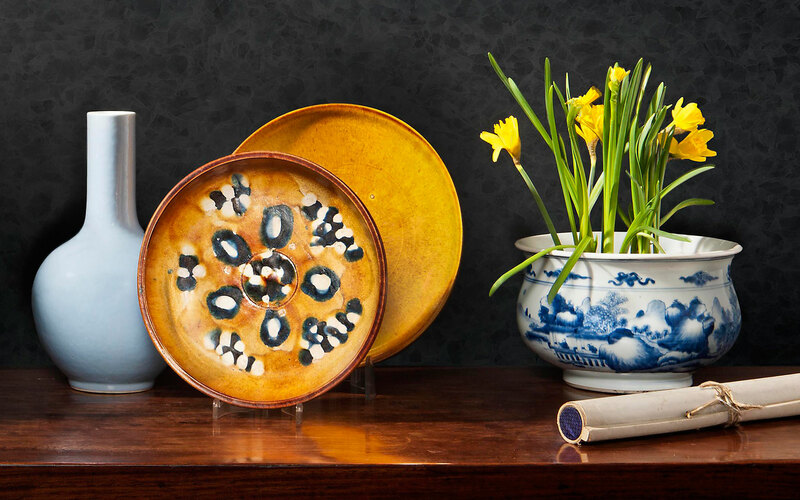 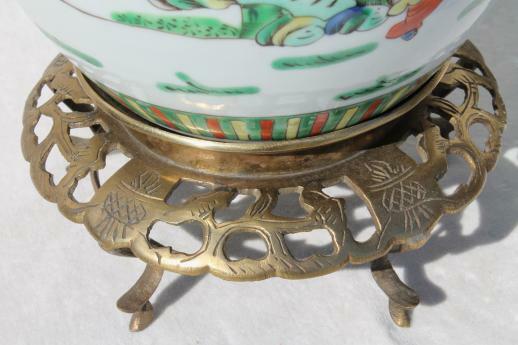 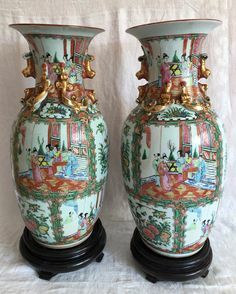 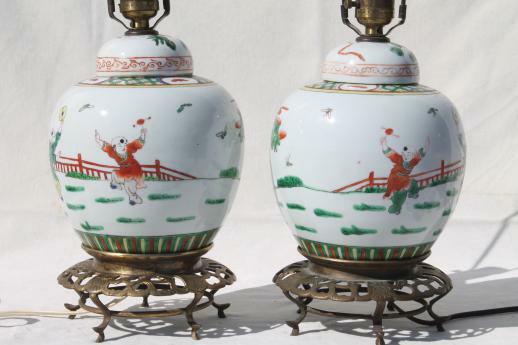 A PAIR OF CHINESE FAMILLE ROSE ORMOLU-MOUNTED PINE. 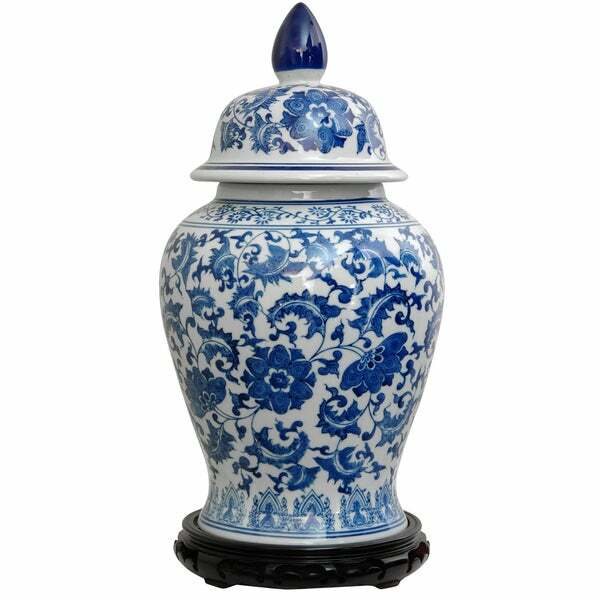 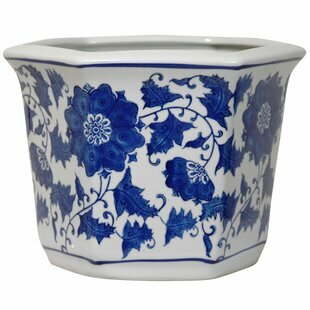 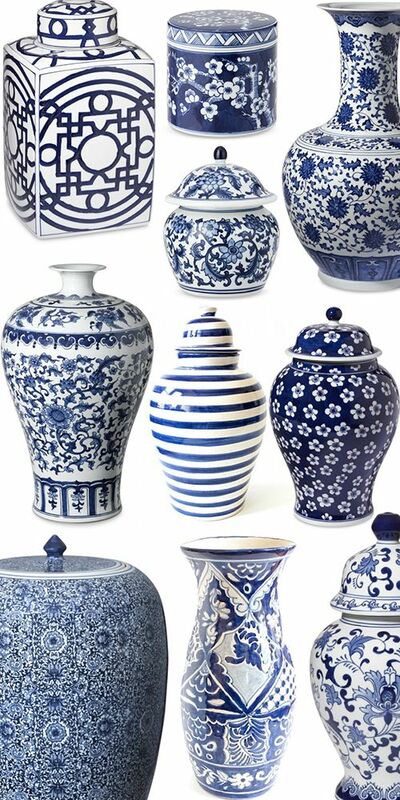 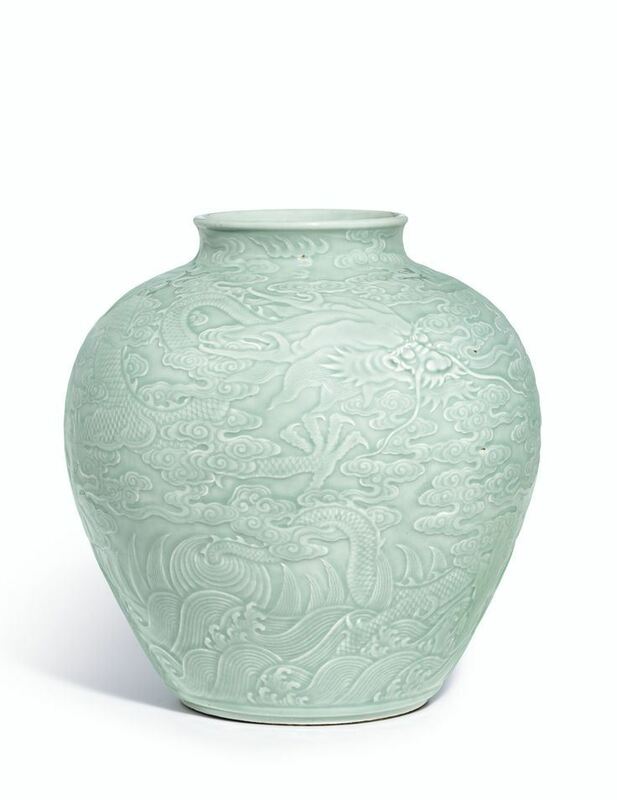 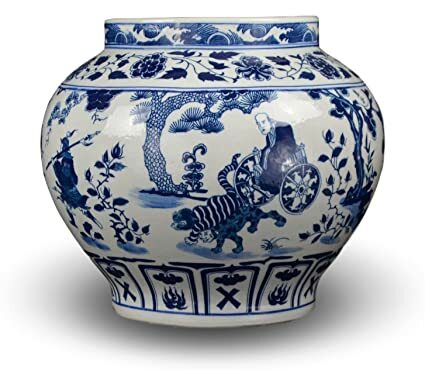 Ming dynasty Xuande mark and period (1426–35) imperial blue and white vase. 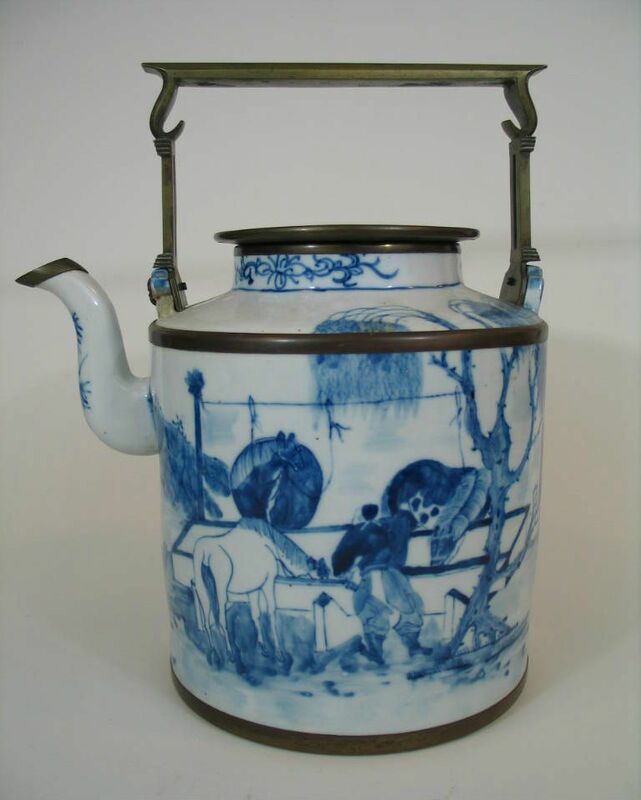 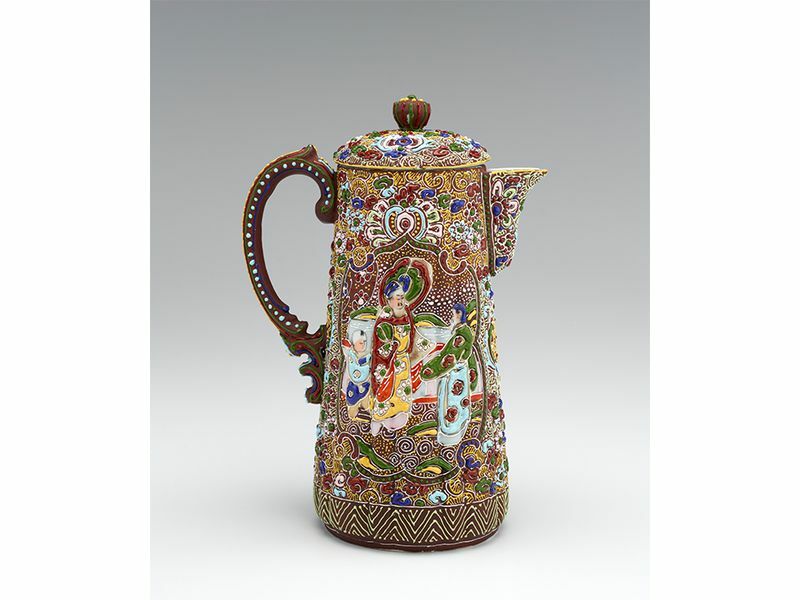 Chinese antique blue and white porcelain teapot, 18th century. 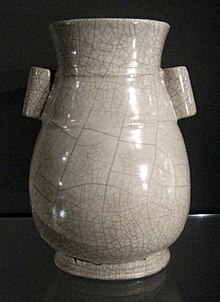 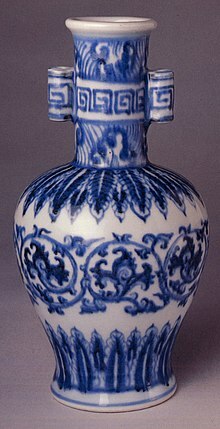 Dutch delftware vase in a Japanese style, c. 1680. " 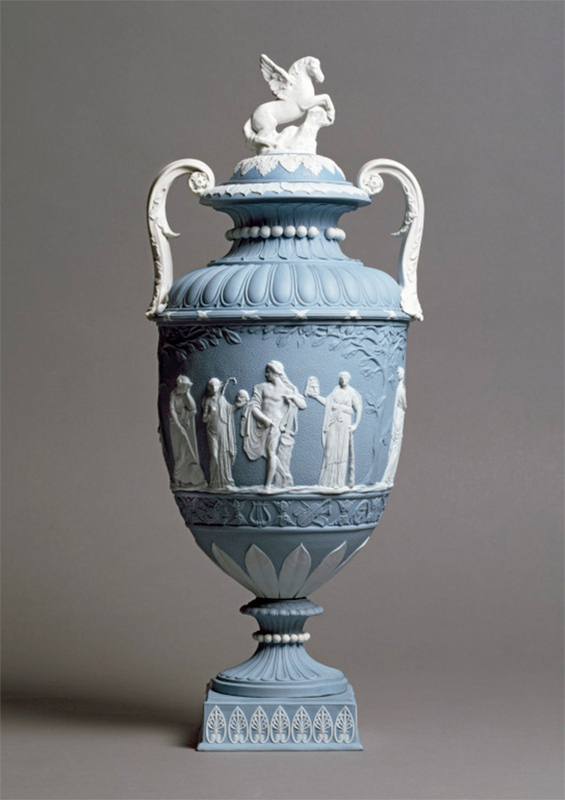 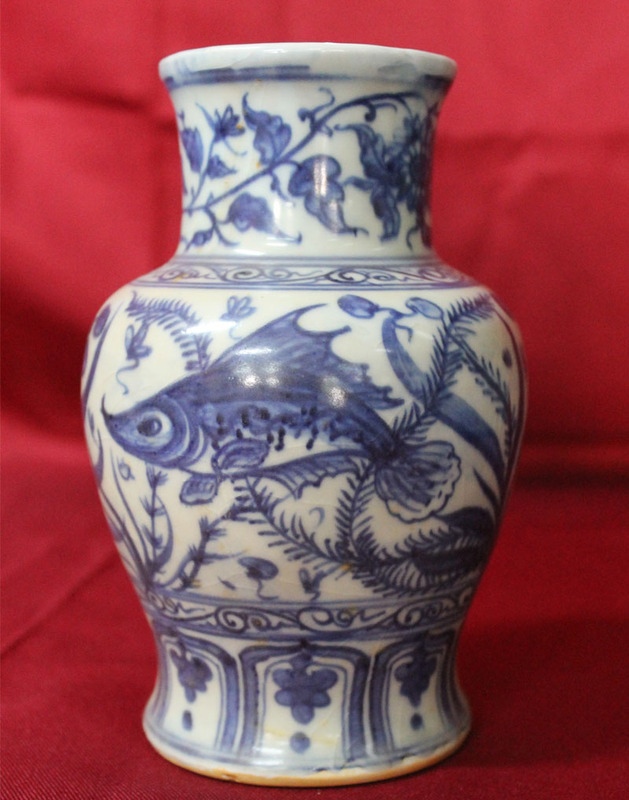 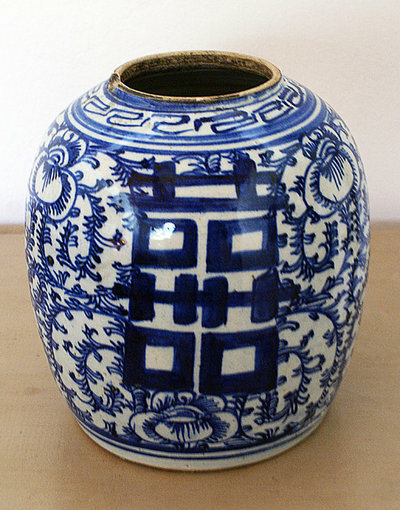 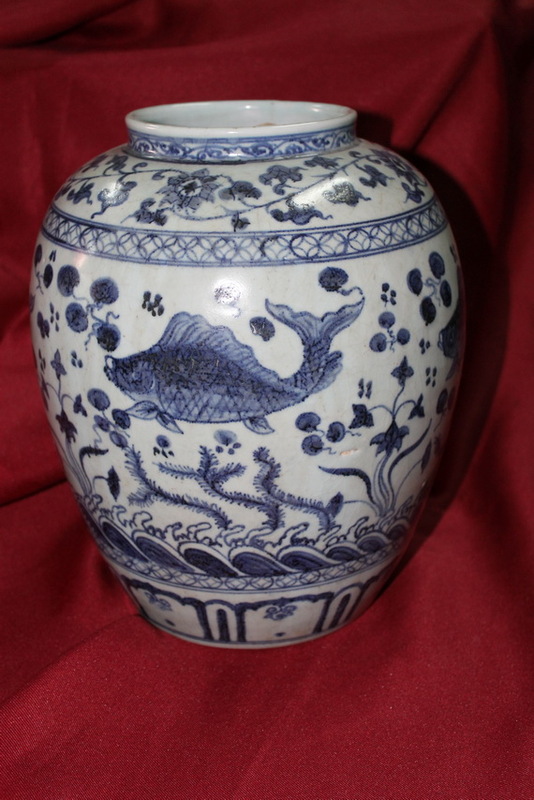 A blue and white hundred boys jar, Transitional period, mid-17th century.